Here in Western New York, the long winter started early – snow hit during the first week of December and kept its grip right through Christmas. Interesting to note that means three full weeks of snow before the “official” start of winter. It’s easy to feel down as the doldrums set it – short days, limited sun, nowhere to garden outdoors. You can do a few things to pass some time – alphabetize your seeds. Clean out your outdoor garden shed. Browse seed catalogs. Experiment with growing some herbs in that south-facing window. If you are physically able, don’t let someone telling you “it’s too cold” or offering other myriad excuses keep you from the outdoors. There is no more glorious time to take a walk than on a crisp winter night. You won’t need a flashlight once your eyes adjust. If walking on a road, wear reflective clothing and carry a flashlight. Walk along a bike path with a friend. Appreciate the subtleties of the winter flora – the reds of the arrow wood, the buds that will be next year’s leaves, weeping willow branches turning bright yellow. Don’t just take one walk, either. Turn off the TV. Get off the couch. Plan to walk every Tuesday night for two hours or so. You’ll discover quickly if you dress in layers, avoid cotton clothes and wear a hat that no matter what the temperature, you won’t be cold. You also will enjoy yourself. 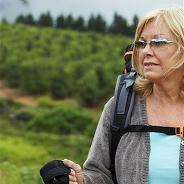 If you have hiking poles, use them. “Yak Trax” cost about $20, fit to the bottom of your boots and will keep you from slipping. Bring water and a light snack or perhaps a thermos of hot chocolate. In our region, trails are walkable more often than not and only have enough snow for snowmobiles a few weeks every year. That means you have them to yourself. If you need someone to walk with, contact your local independent outdoor store, especially if it caters to kayakers. The boat-borne go stir crazy and often meet weekly for organized hikes. Spring will be here before you know it, but enjoy January and February while they’re here. Michael C. Podlesny is the administrator for the largest Vegetable Gardening page on Facebook. I recently had the privilege of appearing on a radio show where we did nothing but talk about vegetable gardening for over an hour. It was a lot of fun, and the questions by the host, Kate Copsey, were fantastic. They made me do some quick thinking about my own vegetable gardening experiences, what I grow, methods I use and so on. More importantly the interview also made me think about trends in vegetable gardening that will be big in the upcoming year. Maybe my own company will be one of those trends with the way we deliver seeds to our customers, only time will tell, but after I spoke with Kate on her radio program, we both agreed that there will be a couple of trends that will definitely increase, based solely on what we see going on right now. The economy, I am sure has a lot to do with these trends, and because of the economy, maybe just maybe, it’s making everyone realize what is important in our day to day lives as we all scale back a bit, find ways to save money all the while getting healthy food on the dinner table. Vegetable gardening in general will do that, but it also provides for an opportunity to do two things, that I believe will be the trends for the upcoming year. They are a chance to take part in community gardening and an increase in vegetable gardening for kids. There is a variety of community gardening methods, such as taking a plot of land and having a group of people tend to it or taking a plot of land, subdividing that land and everyone grow what they would like on their own plot. I see this become more common here in New Jersey and as many of our Facebook members have wrote us, Detroit, MI and Los Angeles, CA seem to be growing in this area as well. Community gardening can either provide food for the person or people tending the garden or as I have seen in my own town, harvesting the food and donating it to a local church or food shelter to help out those in need. Community gardening is growing, and although statistics of its growth weren’t available at the time I wrote this article, just based on what I see, it will not be slowing down anytime soon. As a father of two children myself, and being fortunate to have a father to teach me gardening skills, I clearly understand the importance of passing on my gardening skills to the next generation, and I see that other parents and grandparents do as well. What makes this trend even more exciting to follow is the creativity adults are using to capture the attention of children and get them excited about growing their own vegetables. 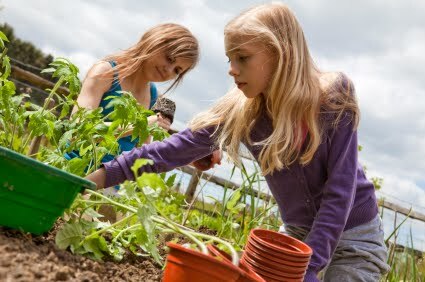 Whether it is reusing egg cartons as seed starters or a pizza box as a garden bed, there are a variety of ways to get children involved. I find in my own experience that having my son use his own “play” tools to help dig or rake go a long way in teaching him to have fun all the while actually learning gardening. 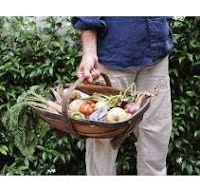 When it comes time to harvest the fruits and vegetables he gets excited to pick them himself, and who wouldn’t, because not too long after they are harvested, we prepare them for a meal. Garden to plate in less than 30 minutes! If you know how to use a shovel, put a seed in your soil, and know how to use a watering can, then you already have the knowledge, skills and ability to ride the wave of these two trends. For many years, chemical use and high levels of fertilization have been widely accepted as the best practice by farmers, landscapers and home growers. Even if used correctly, the margin between safe use and phytotoxicity (harm to the plant) is often very small. There are also dangers to animals and humans from the use of chemicals themselves. Despite these problems, the lack of effective alternatives did not leave growers many choices. More recently, however, farming growing practices are beginning to change. More growers are completely eliminating the use of chemicals and greatly reducing the use of fertilizers. These changes have been brought on for many reasons; one reason is the increase in scientific research demonstrating the toxicity of many of the chemicals being used by growers (such as increases in Parkinson’s Disease1 and cancer rates2,3 or lethal algae blooms in our waters4,5). A bigger driver for the change is the development and/or wider recognition of effective natural or organic products for increasing yields and treating pests and diseases. One of the greatest developments in this area has been the increased recognition and use of beneficial bacteria in agriculture. In most cases, the use of beneficial bacteria can lower fertilizer and water use by 50%, and completely eliminate chemical use with better results (20% increases in yields are standard). In addition, there is no toxicity to humans and animals. In fact, the use of bacteria has shown to cure depression6 and gastro-intestinal disorders7, and overuse does not have detrimental effects for the plants. Beneficial microbes have co-evolved with plants over millions of years. In fact, it is now known that plants and symbiotic microbes actually have elaborate systems of communication. For example, a plant will secrete substances into their root zone to attract beneficial Bacillus strains when the plant is under attack by pathogens. Plants will also exude beneficial substances, including sugars, to feed beneficial fungi and bacteria. In exchange, bacteria will produce plant hormones (such as auxins, gibberellins and cytokinins) to stimulate plant growth, as well as fight pathogens. Beneficial organisms will also help plants better utilize fertilizer and nutrients. Some strains help solubilize phosphates, making them more available. Nitrogen-fixing bacteria can take nitrogen out of the air and fertilize a plant naturally, while certain types of bacteria can convert higher nitrogen forms (ammonia and nitrites) into nitrates, which is the only form of nitrogen that a plant can use. By building up the numbers of these bacteria, fertilizer can often be reduced 50% while making the uptake and retention of that fertilizer even more efficient than adding higher amounts. Bacteria can also travel through the transportation systems of plants (the xylem and phloem), thus acting as a natural transportation system for compounds and substances, as well as a mobile immune system that will help to suppress pathogens. “The Earth is not sterile, nor was it meant to be”. Growers are just beginning to understand the extent to which plants and animals depend on beneficial bacteria. Incorporating beneficial bacteria into your growing practices will increase your plant health and yields, as well as lowering your chemical and fertilizer use. Joseph Maggazi of Grow Home Organinics, LLC is a contributing writer for Mike the Gardener Enterprises, LLC. Grow Home is the maker of Quantum Growth, a consortium of over 20 strains of beneficial bacteria that perform all of those above plant health functions. With every step you take in your garden you compress the soil underneath and that prohibits air flow as well as water drainage. If you can not or do not have the ability to create a raised bed gardening system, then here is a solution to distribute your weight evenly when you need to walk through your garden. You can lay down a piece of plywood over the areas where you are going to walk. When you step on the piece of wood, your weight gets more evenly distributed. You can also designate certain parts of your garden to be considered “walk” areas. La down some mulch will help reduce the impact on underlying layers of soil. Although I would rather see you enrich your soil via means of composting and vermicomposting many must use commercial fertilizers. If you are one of those people you should know what the numbers mean on the packaging. You will see the N-P-K ration listed on packages of fertilizer. N-P-K stands for nitrogen, phosphorous and potassium. So if you see a fertilizer that reads 15-5-5 it means that it contains a ratio of 15 parts nitrogen to 5 parts phosphorous to 5 parts potassium. Home vegetable gardeners more so then any commercial industry will have an easier time going organic. Because home vegetable gardens are smaller and more manageable it becomes more realistic to use organic methods. For instance, a home vegetable gardener won’t have to use power tools to cultivate the soil. A pitchfork or shovel will suffice. Home vegetable gardeners can bury food waste directly in their backyard or set up a vermicompost bin to create quality humus that will add much needed nutrients to your soil. 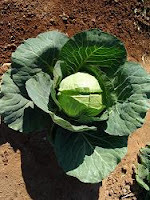 A very popular question that we receive on our website is, “is it possible to grow vegetables from the seeds of vegetables grown in a backyard vegetable garden?” In short the answer is yes. But there is more to it that will affect the quality of the taste. If you grew the vegetable plant from a hybrid seed, which means it is a cross between more than one variety of plant, the offspring of that plant won’t be as tasty as the original and may even look a bit different. If the seed wasn’t a hybrid then the offspring should be identical and that will lead to the same taste. If your space is limited you have a few options you can use to make the most out of the space that you do have. For instance you can grow vegetables out of pots. Just make sure the pot has a depth of at least 8 inches and a 6 inch diameter. You can set up a raised bed gardening system, enclosed by a wooden frame, bricks or any number of other material. Again make sure the depth is at least 8 inches. Try growing vertical. Cucumbers, pole beans, and melons are a few varieties of plants that you can direct where they go because they are vines. You can save a tremendous amount of space by using a trellis and having them grow vertically. I became introduced to gardening when I was just a kid. My dad was an avid gardener for many years, and he showed me all the tips, tricks and techniques that he used that made his vegetables turn out great. Because the end result of gardening is the production of great tasting food, it quickly, for me, became a hobby that I have fallen in love with. Fast forward thirty plus years and you will still find me tending to my garden every year. If you are looking for a hobby that is fulfilling and rewarding then gardening is it. Beyond that is also educational, and you can even take gardening to many niche directions. For instance you might find that you enjoy growing peppers. Well you have choices of many peppers to grow. Anything from habanera to bell to jalapeno, so many varieties that you can dedicate an entire garden to just peppers. If vegetables aren’t your thing and fruit is, then strawberries, blueberries and raspberries are within reach as well. Along with the relaxing atmosphere of growing fruits and vegetables, gardening can teach you a wide array of skills that are helpful to the environment, such as learning how to turn your food scraps into nutrients for your soil and plants. You will also learn how leaves, twigs, and the grass clippings from your lawn can actually benefit your garden. Just like any other hobby you won’t become an expert overnight, but if you stay with it, and venture into learning new things or expanding on your current knowledge, you will be amazed as to the things you will learn and the skills you will gain. As if you needed anymore benefits for gardening as a hobby, how about growing your own fruits and vegetables will save you money at the grocery store. The cost you will put out for seeds and watering your garden is far less than buying vegetables by the pound or a bag of greens. 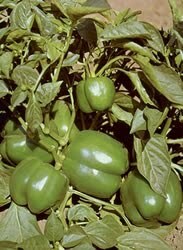 One grape tomato plant can literally produce in the hundreds where as at the store they can run about $1.99 per pound. One season growing a grape tomato plant can save you up to $50 depending on how many of them you eat and that is just one plant. So if you are looking for a hobby that is relaxing, rewarding, educational and can save you some money, then gardening is the perfect hobby for you. All you need to get started are some seeds, a place to plant them and some water. While everyone else is talking about Christmas lights, let the gardeners talk about Grow Lights. December ushers in the time of year that proves the diehard gardeners and disheartens idealists. Sure, some of the self-sufficient plants can continue to grow and thrive indoors during the blustery season, but more needy greens have a habit of making their discomforts known. Think: Princess and the Pea”—only, “Gardener and the Rosemary”. 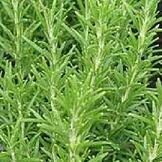 The sweet Rosemary plant, she is as needy as they get. Too much sunlight gets her wilty; not enough and Rosey is scaly. Don’t even think about water. Really, don’t. Since, if gardener’s can keep a Rosemary plant alive for the long winter haul, they can keep just about anything alive, she’s a great place to explore the proving grounds. Success with Rosey is tricky indeed, but a few pointers might make the difference between life and death—for the plant that is. She can’t live without a spot of high sunlight. That means growing a plant in a bay window probably won’t be enough. It may seem like she’s getting a lot of natural light, but windows tend to filter too much UV to supply the intensity of direct sunlight. And most people can’t afford a greenhouse or greenhouse glass. That leaves the brave gardener with a winter Rosemary plant only one good option: the Grow Light. Grow Lights provide UV from the high spectrum in which they shine. They’re heat producing—quite warm in fact—and costly to purchase. Some are sold to fit standard light fixtures, others to fit standard fluorescent housings and others for customized Grow Light systems. A single UV bulb, for standard fixtures, typically costs around twelve bucks. The majority are advertised to last a year or longer, but with the constant time that needy plants require to soak up enough UV for photosynthesis, the light bulb’s life expectancy is typically about half as long. Specialized set ups, and fluorescent grow-lights have significantly longer lifespans, and the purchase of a system that provides adequate light for a few plants is a significant expense. A fluorescent tube should last two to three winters and cost about forty dollars, but if a household does not have any fluorescent lighting already set up, a grow kit must be purchased. The grow kits run the highest cost, both to run and to purchase. They provide heat, and UV for the most controlled growing environment, and most also have adjustable lighting conditions and heat settings. Rosemary is happiest with a grow kit, but she’ll survive with just a standard bulb. The gardener has to speak words of love to his plants. That’s the real secret: being attentive. If she needs a pillow, get it for her. If she need the shades drawn, go. But no matter what, the gardener should never let her persuade him to leave the light on for more than fourteen hours. She’ll take it, and get to wanting it and become dependant on it, and then, what’s left? Jody Sperling is a contributing writer for Mike the Gardener Enterprises, LLC who operates the largest Vegetable Gardening page on Facebook. Asparagus is a great addition to any home vegetable garden. Whether you mix them in with a salad or cook them your own special way, this perennial plant will yield you a great tasting vegetable for about 10 to 15 years. Part of the Asparagaceae family, Asparagus is one of those rare vegetables that regardless of the climate you live in (for the most part), it will produce for you every year. It is a good low calorie source for Folate and Potassium and the stalks are high in antioxidants. Asparagus dates back to as far as 3000 B.C. to Egypt. Historians believe it was originally used as a medicine. They have also found a recipe for cooking asparagus that dates back to the third century AD. If you are going to add it to your garden, be prepared. Asparagus takes 3 years before you can actually harvest the first stalks. So you will need to be patient. To get your asparagus up and running start your seeds indoors about 7 weeks prior to the final frost of the season. Check a frost zone map for your area to find out what that date is. Once you reach that 7 week date you can move the asparagus plants to the outdoors and to its new permanent home. Your asparagus plants need room so when it comes time to plant them outdoors make sure you spread them out at least eighteen inches. This gives the plants’ root system plenty of space to grow. If possible plant them in an area that will receive at least 8 hours of sunlight per day. Although they will tolerate less than eight hours you are going to grow your asparagus for the next decade so put them where they will be happy. Asparagus requires heavy watering and like most other vegetable plants you do not want to overwater so invest in a good 3 in 1 soil tester or moisture level tester. Between the rainfall you will receive and the watering schedule you will have, a soil moisture tester will ensure that you keep the water levels in the perfect range. As a side note, asparagus will grow much better if the soil pH range is in the 6.5 to 7.5 range. When the third year rolls around harvest only those asparagus spears that are at least 3/8” (1 cm) in diameter and 6 to 8 inches long. You can choose to use a knife or garden scissors to cut the asparagus, but the best method is to simply “break” them off. Asparagus is best eaten as soon as it is harvested, so if you aren’t going to be consuming your asparagus anytime soon, just let them grow. Finally, because I know it just has to be on everyone’s mind, why does urine have a distinctive odor when you eat asparagus? Come on now….you are thinking about it. There are compounds in asparagus that when metabolized give urine that odor due to various sulfur containing products. There are six of them and they are, methanethiol, dimethyl sulfide, dimethyl disulfide, bismethane, dimethyl sulfoxide and dimethyl sulfone. You are now ready to go and tackle asparagus. If you love the taste of this vegetable like I do, go ahead and add it to your garden. Sure it will take you 3 years before you can get your first harvest, but you will be harvesting fresh asparagus every year thereafter for at least 10 years. You won`t find too many more natural ways to improve the nutrients in your soil then compost. 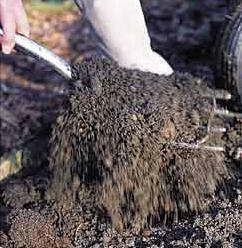 The result of organic material breaking down, compost will add much needed, nitrogen, potassium, phosphorous and calcium (as well as other nutrients) to your soil. The best part, composting is easier than you think. There are a variety of composting methods you can choose from. Which one you decide on usually results in the space and time you have available. The most common types are trench composting and a compost pile. Both work great and have their advantages and disadvantages. Let’s start with trench composting. This is the act of, as you might guess, digging a trench, throwing in your organic material and then covering that material up with dirt. I use this technique a lot. It’s easy to do, and I consider it the “lazy” man’s style of composting. Why lazy? Because all you have to do is bury the material and let the environment do all of the work. The disadvantage of this method is you may not be able to bury all of your grass clippings, fallen leaves and so on. They would just take up too much space. Items most commonly used in trench composting are your food leftovers, coffee grinds and tea bags to name a few. If you have the space, and it doesn’t take much, start a compost pile. This is where you will pile up all of your organic material and simply let nature break it down for you. Items that you can throw into your pile are wood ash, grass clippings, leaves, twigs, coffee grinds and filters. Avoid throwing food leftovers into your pile. It could attract rodents, other animals and unwanted insects. The disadvantages of a compost pile are space requirements and the extra work load you will have when it comes time to turn the pile over. If you do absolutely nothing to the organic material being used, both methods take some time to have that material breakdown. If you would like to speed up the process you can grind up the material in a lawn chipper/shredder. Making the items smaller will help make things breakdown quicker. There is no right or wrong method to use. Which one you choose will be right for your situation. Just remember to use only organic material, avoid meats and bones and remember you aren’t burying your trash, but your leftover organic material. Peppers are the third most popular vegetable grown in the home vegetable garden. There are literally hundreds of varieties to choose from however the basic concepts to grow them are the same for just about all of them. Here are 5 basics on peppers to get you started. 1. Seed Depth - Pepper seeds are fairly small so you do not want to plant them too deep. About a quarter of an inch or less would be ideal. If you put too much dirt on top of them they won’t generate enough energy to push through the soil. 2. Soil Temperature - Peppers, like tomatoes, will germinate best when the soil temperature is on the warmer side. If you can get your soil in the eighty to eighty-five degree Fahrenheit range you would be doing your pepper seeds a great service. At this temperature they have a better chance of not only germinating but thriving. 3. pH Range - Peppers like the soil to be a bit more acidic (under 7 on the pH scale). Ideally if you can get your soil in the 5.5 to 6.5 range, some studies have shown that pepper seeds germinate very well there. 4. Space - You will more than likely find the adequate space requirements for peppers on the back of your seed packet, however, if you received some pepper seeds from a friend and do not have the packet, just remember to space them out at least twelve inches. Give them plenty of room to grow. These are just the 5 basic items of growing peppers in your home vegetable garden. Once you become comfortable with growing peppers, learn more about rotation considerations and companion plantings, both of which will help with future yields and use of space in your garden. Note: This article may be freely reprinted or distributed in its entirety in any e-zine, newsletter, blog or website. The author’s name, bio and website links must remain intact and be included with reproduction. Don’t make home vegetable gardening harder or more complicated than it has to be. You may overwhelm yourself an invariably give up. Instead, follow these 4 tips, to keep home vegetable gardening light and more reasonably maintainable. 1. Start off Small - Try not to take on more vegetables, fruits and herbs then you can handle. Many times new gardeners (and sometimes experienced ones) will try to grow too much. The harsh reality of their situation may be that they do not have the space available or the time to maintain their garden. When this happens the garden suffers from overcrowding and lack of maintenance which invariable leads to weeds and under producing plants. Instead grow a select few plants of vegetables, fruits and herbs you know you will consume. Gardening becomes much easier when the end product will result in something you know you will eat. 2. Put it in View - The old saying, “out of sight, out of mind” is so true when it comes to vegetable gardening. When you do not have a clear view of your garden from your window you tend to forget about it at times. Instead try to keep your garden where it will always be in plain sight of where you will sit for breakfast first thing in the morning. When you see it every day, you are more likely to maintain it. 3. Try Not to Over Think - When starting out try not to over think your garden. There is a lot of information out there about how to optimize your garden. All of it is helpful, but if you try to implement too much of it too soon before you feel comfortable with home vegetable gardening, you can overwhelm yourself. For instance, there is companion planting, crop rotation, organic fertilizing and bug control methods to name a few. Forget about that for now and start small. Then over time start filtering these items in. 4. Keep the Tools Simple - You might be thinking you need a plethora of tools to garden, from motorized ones to the latest hand tools from your local home or garden center. Sure, many tools will make it easier for you and on your back, but what you really need are the basics. A pitchfork, shovel, and rake are all you will need to get started. The shovel allows you to get through tough soil while the pitchfork helps you turn that soil over and break up the clumps which helps aerate it. Throw in the rake to help “smooth” the soil over and you are all set. These 4 tips won’t make you a master gardener overnight, but they will help you keep it simple so you can start off small and slow and realistically progress. 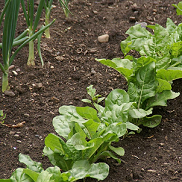 Vegetable gardening with raised beds opens up a number of benefits to home vegetable gardeners. They include better soil drainage for those areas where it is normally poor and gardening on a patio or in smaller areas to name a few. But did you know that you can build your own raised bed garden out of a lot of different items? Here are 5 you can try today. 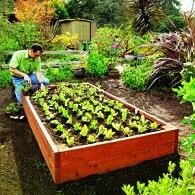 I wanted to start with wood because it is the most popular item to build raised beds out of, but I wanted to break this category down into various wood products that can be used. Sure you can go to your local home center and buy wood, but you probably have some around that you didn’t even think of. Such items include, the wood from an old door or window sitting in your garage or some wooden scaffolding planks. Do you have some railroad ties sitting around or is your neighbor throwing some wood away? If so, and you are a bit handy with tools, you have everything you need to make some quality raised beds. Hay makes for a great barrier for your raised beds. In my area a bale of hay costs about five bucks, so building a garden bed out of it can get costly. Iif you live in a climate that gets cold, hay makes for a great means to build a cold frame. It acts as a wonderful insulator from cold winds and can keep your soil at a moderate temperature. If you buy them they aren’t cheap, but if you are lucky enough to be around an area where they are building you might be able to grab enough for free that will do the trick. You can also look on the popular websites Craigslist or Freecycle for people that are giving them away because they are taking up room in their basement, backyard or garage. You would be doing them a favor. One fellow vegetable gardener told me they used large diameter PVC tubing for their raised beds. They were able to snag some from a new construction development in their neighborhood and build some nice raised beds out of them. I went to a local home center and priced some out and they are all not too expensive if you wanted to buy them. Try getting them for free first if you can. Use the two websites I mentioned earlier. I have seen tires used by stacking them up then filling them with soil and then planting potatoes in them. They work nicely as a raised bed and keep the potatoes confined to a single area. These are just 5 of the many solutions you have available to you when it comes to building a raised bed. Try the one (or all) that works best for you and the space you have available. You have probably heard a lot of terminology being floated around in your vegetable garden. Here are five popular ones that will look familiar to you and what they mean. Here in the United States the Department of Agriculture has put together a map which sections off various regions into zones. This is done for a number of reasons as it pertains to gardening and one of them is to know when your area will be hit with frost. Frost is nothing more than ice crystals that form overnight when the temperature drops thus freezing any moisture. Plants such as tomatoes and peppers cannot withstand frost for more than a night, maybe two if you are lucky. Therefore, knowing when frost will hit your area is beneficial. A Google search on the words “frost zone map” will result in many different varieties of maps to choose from. Ok, so maybe it has been a while since you had a science class. The pH scale is a measurement of how acidic or alkaline something is. The pH scale ranges from 0 to 14, with less than 7 being acidic and more than 7 being alkaline. 7 is neutral. As it relates to vegetable gardening the pH scale is used in measuring the acidity of the soil. Ideal soil conditions range on the scale from 5.5 to 7.5. This is where most plants thrive. Some do well in soil that is more alkaline such as cauliflower in the 8.0 range, but if you keep your soil neutral to a bit more acidic you will do fine. You measure the pH level with a soil test kit or soil tester available from any home or garden center for less than $10. Compost is organic matter than has decomposed. Most vegetable gardeners keep what is called a, ‘compost pile’. It is pile of leaves, twigs, grass clippings and other organic items. This pile breaks down over time resulting in usable, nutrient rich compost. Compost is then mixed in with your garden soil to add those nutrients in so your plants can grow and thrive. There are various kinds of composting techniques such as a compost pile, vermicomposting and trench composting to name a few. This is the process by which your soil obtains more air which is favorable to plants for their growth. For lawns you will see a machine used where plugs are pulled from the soil creating holes. Those holes allow air to get in. For vegetable gardeners, especially the home vegetable gardener, the pitchfork or a broadleaf fork is the tool of choice. For larger gardens, a powered garden tiller will do the trick. These tools will help you to turn the soil over and allow air to get in. You have probably seen these letters on bags of fertilizers in your local home or garden center. They stand for (N)-Nitrogen, (P)-Phosphorous, and (K)-Potassium. They are the most common because they are the primary macronutrients your plants need to grow. All are very important to the growth and production of your vegetable plants. A Wikipedia search on the words “N-P-K fertilizer” will give you more in depth information.